New York/Oxford: Berghahn Books, 2013. This first English publication on the film industry and cinematographic oeuvre of the small South Eastern European nation of Croatia focuses on the development of national cinema over the last two decades since the country’s independence in the early 1990s. This volume brings together previously published essays from the May 2011 “Special Issue 11: Croatian Cinema” of the online journal Kinokultura, but is expanded and enriched with additional materials, such as interviews with major filmmakers and a dozen film reviews. The first edition was published by the Hrvatski Filmski Savez (Croatian Film Association) in 2012. There is very limited knowledge about Croatian film particularly in the West. The diversity of cinematic expressions over the last two decades is little known outside the national context, even though many of these films have participated in several international film festivals. This book comes in as a useful and comprehensive guide to Croatian cinema after independence for any student or scholar interested in small national cinemas or Eastern European cinema. Croatian national cinema was regrettably absent from the volume Cinema of the Small Nations edited by Mette Hjort and Duncan Petrie (Bloomington: Indiana University Press, 2008), and this book fills the gap, so to speak, in the English publications on small world cinemas. 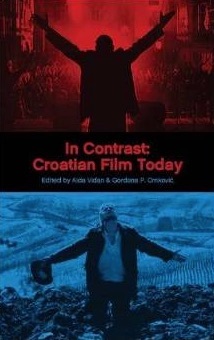 The editors, Aida Vidan and Gordana P. Crnković, offer a much-needed comprehensive account of varying facets that the Croatian national cinema industry has faced since the collapse of Yugoslavia and the state-run production system by bringing together a collection of several essays addressing this nascent and small cinema industry. Croatia, with a population of only 4.5million people, has an average cinematic output of four-five feature films per year, which are showcased at the Pula Film Festival. Like its neighbouring countries, Croatian films depend largely on European co-productions as there is limited funding from the Ministry of Culture. Despite these grim circumstances, some internationally recognised filmmakers and several strong films have emerged onto the contemporary scene, while film directors such as Vinko Brešan often figure at international film festivals. What is perhaps most interesting in this collection is that the editors have provided a showcase of the varying cinematographic output coming from Croatia beyond fiction films, including essays on documentary and animation film engaging on a political and social level with the local culture. Several essays and interviews hint at the persistent difficulty Croatian national cinema continues to face today, namely, the absence of a national audience for local productions. One of the explanations for this situation is the ideological component of films produced in the early independence era under Franjo Tuđman which deterred audiences during this period. This is furthered by the fact that nowadays cinemas are overflowing with Hollywood productions, providing little space for non-mainstream, non-commercial films or small budget films. Indeed, film festivals truly exist as a form of alternative distribution in Croatia; this small country boasts an astonishing 40 festivals. Despite the situation of catastrophically low attendance rates, Vinko Brešan’s How the War Started on my Island was the biggest box office hit, bringing in 350,000 spectators (8% of the population), second only to the Hollywood blockbuster, Titanic (James Cameron, 1997). Sanja Bahun’s essay on the recent developments in Croatian animation, enriched yet burdened by the profuse and important legacy of the Zagreb School of Animation (so named by the French critic Georges Sadoul) and its aesthetics of “limited animation”, shows how the contemporary practice should be conceived as a product of international transits and exchanges. The capital of Croatia as a centre for the practice of animation film art within Europe can be seen from the fact that the second oldest festival of animated film, Animafest, was founded here, and has been, alongside Annecy, a hub for innovative and creative practices in animation art since 1972. Diana Nenadić, the well-known Croatian film critic and current president of the Croatian Film Critics Association, explores documentary film productions since independence and their struggle within the post-war political censorship and its liberation, and and how they have come to flourish at the beginning of the new millennium. This new era, according to Nenadić, is marked by the full-length documentary Novo, novo vrijeme (New, New Time, 2001) directed by Rajko Grlić and Igor Mirković, which was the most seen Croatian documentary in the cinema theatres, perhaps due to the fact that it used the up-close observation method (in Michael Moore style) to examine the hitherto untouched “high politics” and stripped politicians bare. Indeed, in the climate of propagandistic fiction films dealing with the recent war and escapist Hollywood productions, this offered Croatian spectators a critical dissection of their reality. While as Mima Simić’s essay on gender in Croatian contemporary film attests that women are disappearing both from in front and behind the camera of fiction films in the last decades (giving way mainly to new patriarchal, nationalist and traditionalist discourses), Diana Nenadić’s intervention provides hope for the situation demonstrating that many women filmmakers have turned to documentary instead. Nenadić declares that “women documentarians have been many times more provocative, inventive, and open over the last twenty years than in the period prior to it” and have won several awards at major festival (p.72), making their presence felt through confessional documentarism as a form of activism. Many of the recent Croatian filmmakers have been perhaps more inventive, interesting and daring than the feature films, experimenting with the presumed “objective” truth of reality in documentary by producing meta-medial, self-conscious and “personal as political” documentary filmmaking. The conversations section provides a glimpse into the current situation of the Croatian film industry through personal reflections and experiences of several well-known cineastes of fiction, animation and documentary films, such as Rajko Grlić, Vinko Brešan, Joško Marušić and Nenad Puhovski, thus providing an insider’s view into the universe of cinema. While these interviews emerge as a very interesting and useful addition to the volume, it is a pity not to include a conversation with a female documentary or fiction filmmaker, which would have certainly enriched the section with a different perspective. While reviews of contemporary feature films dominate the reviews section, it is refreshing to see an array of both mainstream and acclaimed national films, and more independent productions among the selected texts, which are truly representative of the diverse cinematic output of Croatian cinema over the last two decades. Reflections and viewpoints from international (Lorraine Mortimer, Zhen Zhang, Maxim Pozdorovkin etc) and national academics and film critics, working both in Croatia and abroad, adds to the richness of film analysis and commentaries, as well as reinforcing the fact that Croatian films have global relevance and reach both international and local audiences. My major objection is that the focus of the volume is on purely national cinema, whilst many of the recent contemporary films were co-productions between several countries in the region and beyond, and the essays do not delve into the transnational and inter-cultural aspects of recent Croatian films. A comparative study between other similar small national cinemas would have been enlightening, as many face similar financing and distribution problems. Indeed, with any work strictly focusing on national cinemas made within the borders, there is a risk of overlooking and missing certain connections and remaining limited in its reach. In addition, the volume would have been more accessible to a wider readership by including comparative or transnational methodology, thus giving multiple points of access to someone not familiar with Croatian cinema. The red and blue diametrically opposed yet complementing gestures depicted on the book cover, synthesise the two contrasting cinemas of the new Croatian state since the 1990s; that of ideologically controlled film production and themes concerned with the recent war in the first period, and that of the everyday human drama and psychological dimensions in the second period. It is on these ideas that In Contrast: Croatian Film Today sheds greater insight, providing us with further understanding of the many states of cinema in this new state.